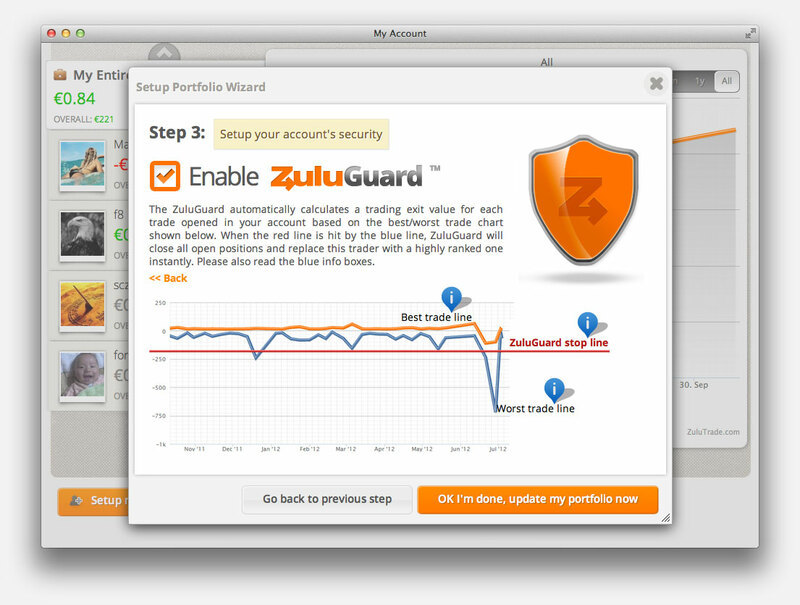 Meet Jim, a professional Trader and his adventures with ZuluTrade! the largest social trading community! 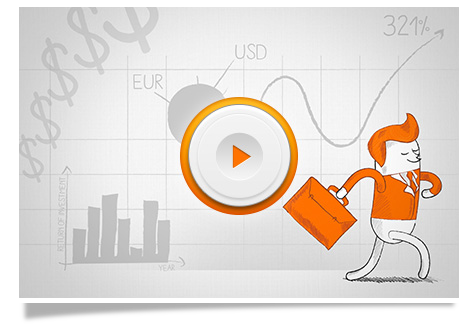 Choose among our talented Traders from 192 countries and follow their trading signals  in your account. Stop watching your portfolio! 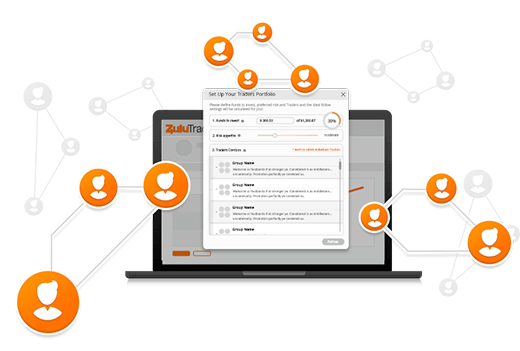 ZuluTrade will automatically remove any trader that will stop sticking with the original strategy, or will change trading behavior. 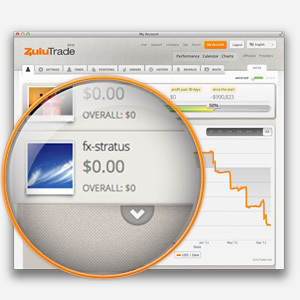 ZuluTrade will detect the change of strategy of any trader in your portfolio at any given point, based on proprietary indicators gathered from over 100,000 trader portfolios. When the red line will pass the blue line, the trader will be removed instantly from your portfolio and all positions will be closed, to further protect your account. ZuluTrade will then pick another trader to replace the previous one removed, based on the ZuluRank with the same or better ranking in your portfolio! You can modify this function in your settings! 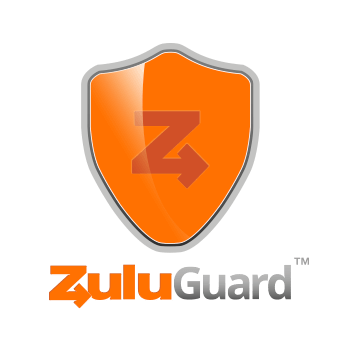 Autoprotect your account with the all new ZuluGuard™ service! Trade from your mobile device. iPhone, iPad, Android or your Windows phone! 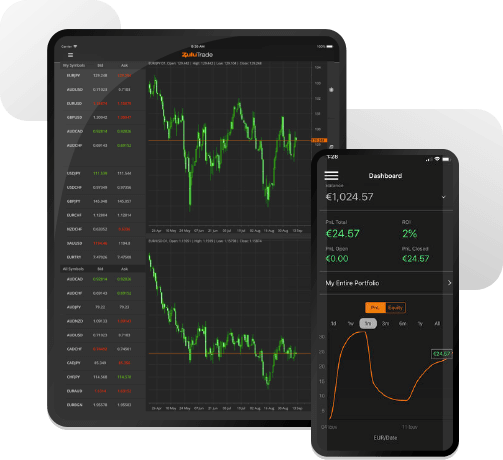 Pick among the best Traders and instantly convert their advice into live trades. 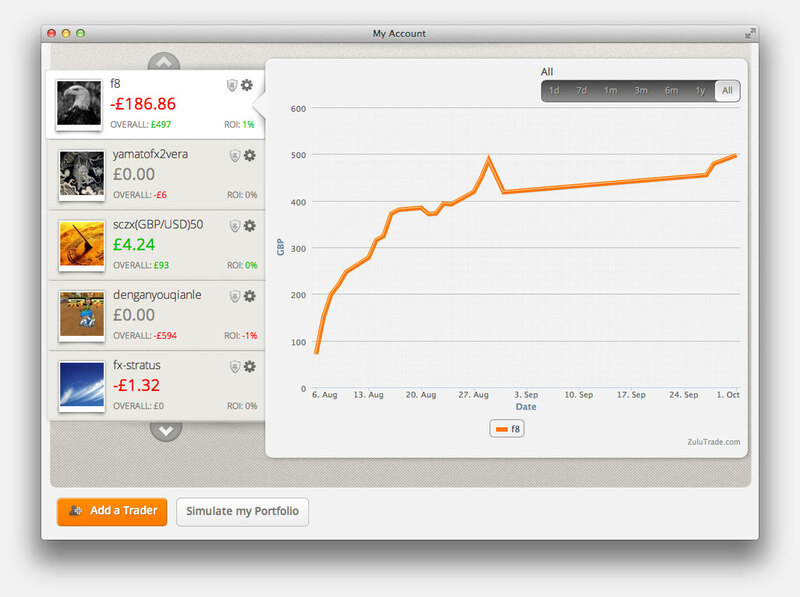 Combined top 5 traders' performance $271,965 (32755.4 pips). Check out our Android, iPhone, iPad and desktop widget apps.